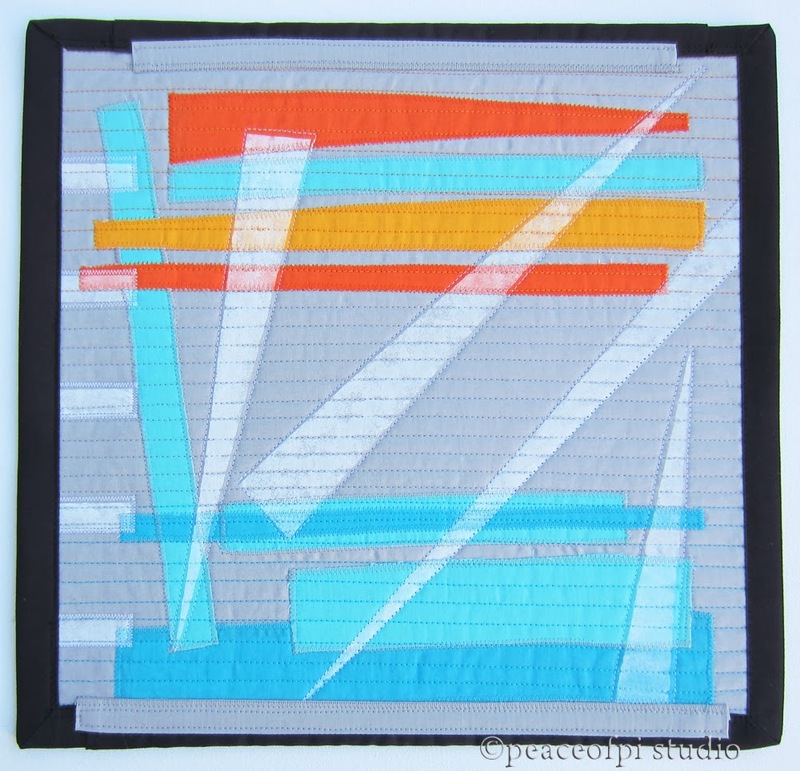 Sailing is a modern style art quilt. With a light grey background, the bright turquoise and orange fabrics are allowed to take center stage. The solid colors and free-form shapes add a modern feel. The quilt is an abstract interpretation of sails and boats on the water; they catch the breeze, harness it's power and fly.